For free copies, please send an e-mail with your postal address to Michael Mecke, mecke@mpiwg-berlin.mpg.de; or download the individual preprint issue; or download and print the preprint order form (PDF format) and mail it to the institute. This document is an on-line reprint of Augustine: Confessions, a text and commentary by James J. O'Donnell (Oxford: 1992; ISBN 0-19-814378-8). The text and commentary were encoded in SGML by the Stoa Consortium in co-operation with the Perseus Project; the HTML files were generated from the archival SGML version. Each book of the text has a link to introductory commentary on that book, and each section of the text has a link to detailed comments on the section. Links within the commentary connect not only to the section of text directly being annotated, but also to other parts of the text and commentary. Footnotes in the commentary appear at the end of each book; the footnote numbers are links from the commentary text to the footnote and from the footnote text back to the commentary. Where possible, links have been provided to the texts of classical works and Biblical passages cited in the commentary. Links at the end of each book of the text and commentary allow navigation to the next book or the previous one of text, commentary, or both together. By default, the text displays in the upper frame and the commentary in the lower. Use the "frame free" version to display the text and commentary in separate browser windows. Begin here with the Prolegomena (no frames), here with a table of contents (no frames), or here with a table of contents (frames). The New Testament Transcripts Prototype currently features the writings of the complete New Testament with transcripts of between 2 and 26 manuscripts and an apparatus based on them, collated against the standard scholarly edition of the Greek New Testament (Nestle-Aland, 27th edition). As with any prototype, you should use it with caution. You can access it by clicking here. A guide that explains the main features is available here. Make sure you have one of the following fonts installed on your computer: SBL Greek (free), or one of Linguist’s Software’s LaserGreek in Unicode fonts such as SymbolGreekU. Make sure you are using a fairly recent Web browser (Internet Explorer 5.0 or later, Netscape 6.0 or later, Opera 6.0 or later, Mozilla - for details click here). This site is not compatible with operating systems older than Windows 95. Make sure you are using a recent version of one of the following Web browsers: Safari (free), OmniWeb, Opera for Mac OS X (free), Mozilla for Mac OS X (free), or Firefox (free). This site is not compatible with operating systems older than Mac OS X 10.0. Arheologia Moldovei este revista anuală a Institutului de Arheologie din Iași. Arheologia Moldovei are o regularitate neîntreruptă de la apariția primului număr, în 1961 și apare sub egida Academiei Române, prin intermediul Editurii Academiei. Materialele publicate au fost și sunt constant apreciate pentru probitatea științifică și calitatea academică. Studiile, articolele și notele sunt publicate în limbile română, engleză, franceză sau germană și au fost însoțite, încă de la primul număr, de rezumate ample în limbi de circulație internațională. Willkommen auf der Online-Publikationsseite des Vorhabens Corpus Coranicum der Berlin-Brandenburgischen Akademie der Wissenschaften. Sie finden hier erste Ergebnisse und Materialien zur Geschichte des Korantextes (Handschriften und Lesarten), Texte aus der Umwelt des Korans und einen chronologisch-literaturwissenschaftlichen Kommentar. Bitte verwenden Sie die Navigationsleiste (links) und wählen einen Koranvers aus. Sie können dann zum eingestellten Vers in der Menüleiste (oben) Daten zu den einzelnen Bereichen abrufen. Dear colleagues, I am editor of Greek and Roman Art and Archaeology for the relatively new open access, peer reviewed journal ARTS. We are working on an issue on “Archaeology and its Media” (see attachment). I would like to invite you to submit contributions from your fields or to circulate this email among colleagues and students, who you feel might be interested. The ABIA project is a global network of scholars co-operating on an annotated bibliographic database for publishers covering South and Southeast Asian art and archaeology. The project was launched in 1997 at the initiative of the International Institute for Asian Studies in Leiden, the Netherlands, in colloaboration with international scholars and Asian academic institutes. The project receives scientific support from UNESCO. The database ABIA South and Southeast Asian Art and Archaeology Index is fully searchable and is freely accessible. Extracts from the database are also available in the form of printed bibliographies. The ABIA Index is a bibliographic database on South and Southeast Asian art and archaeology compiled by an international team of specialists. ABIA index supplies annotated and indexed entries on scholarly publications in Asian and European languages relating to prehistory, (proto)historical archaeology, art history (including modern art), material culture, epigraphy, palaeography, numismatics and sigillography. 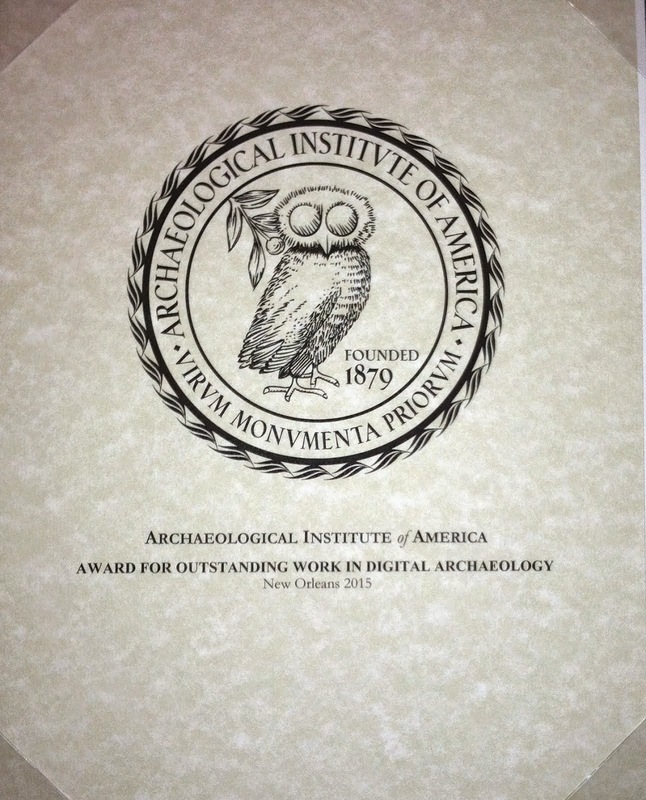 The ABIA Index continues the old Annual Bibliography of Indian Archaeology (ABIA). The first issue of the Annual Bibliography of Indian Archaeology was published in Leiden in 1928 under the direction of the reknowned Sanskrit scholar and archaeologist, Prof. Jean Philippe Vogel. Its utility and importance made ABIA an impressive bibliographic series with a publication run over 50 years. Thanks to the support of the International Institute for Asian Studies (IIAS), the Jan Gonda Foundation in Amsterdam and the Faculty of Arts of the Universiteit Leiden, ABIA was re-launched in 1997 as the globally networked ABIA Index. The ABIA Index covers publications on pre- and proto-historical archaeology, historical archaeology, ancient and modern art history, material culture, epigraphy, paleography, numismatics and sigillography of South and Southeast Asia and of culturally related regions: Afghanistan, Uzbekistan, Tajikistan, Tibet, the 'Silk Road', South China and the Pacific. The Index covers scholarly publications from 1996, ranging from survey works and monographs to articles in journals and monographs, reviews and PhD dissertations. The ABIA Index provides detailed bibliographic (with the original diacritics) as well as annotations for each of the publications covered. Indexes by author, subject, and geographic area further facilitate searches. While the database is in English, publications originate from a multi-lingual palette, ensuring both variety and broad scope. The database is compiled by several international teams of specialists, each covering a fixed geographic area and well-defined set of bibliographic materials. Each office creates its own database. All data can be linked through a 'Search all' function. L' Archivio Storico Documenti della Pontificia Commissione di Archeologia Sacra è composto da 236 buste e 97 tra registri volumi e quaderni, per un totale di 333 pezzi, cui si aggiungono 29 buste e 4 scatole degli Archivi personali e 10 buste e 9, tra volumi e registri, di altri Archivi in deposito presso la Commissione. L'Archivio è relativo al periodo 1851-1993, ma copre un arco cronologico che precede la creazione della Commissione (1851). Sur la page d'accueil, un nouveau module permet de nous communiquer des suggestions (avec un dispositif anti-spam) : soyez nombreux à l'utiliser ! La table BIBLIO compte désormais 4210 fiches, avec références au total à 32402 textes intégralement publiés (l'élimination de doublons explique que le chiffre ait légèrement diminué depuis décembre 2013). La table TEXTES compte désormais 15922 fiches (soit 49,13% du corpus). – Mayer Or 72 et Mayer Or 74 (8 tablettes conservées au Musée du Vatican, collationnées par D.
– Le glossaire a été vérifié (corrections et harmonisations) ; quand c'était nécessaire, la lemmatisation des lignes correspondantes a été refaite. On a introduit un certain nombre de renvois internes (halâlum : cf. alâlum ; nikurtum : cf. nukurtum, etc.). – La gestion des datations par éponymes a été modifiée : voir la note de D. Charpin & N. Ziegler dans NABU 2014-1. This collection of epigraphic texts represents part of the epigraphic archives of the Institute for Greek and Roman Antiquity (KERA), which were progressively constituted since 1980 with permission and in collaboration with the corresponding Department of Antiquities of the direction of Antiquities of the Greek Ministry of Culture, to promote the systematic study and scientific exploitation of epigraphic texts as primary sources for the history, institutions, language, religion and culture of specific Greek regions in Greek and Roman Antiquity. Supplements to the collection of inscriptions from Upper Macedonia, its bibliographical update, the creation of all digital entries, as well as partial additions and corrections throughout the collection have been undertaken by the Institute’s collaborator K. Lembidaki, with the assistance of K. Ananiadis, A. Vourgali, M. Stavrou, D. Stathaki and V. Psilakakou, under the supervision of P. Paschidis. Die Mitteilungen der Deutschen Orient-Gesellschaft zu Berlin ist das offizielle Organ der Deutschen Orientgesellschaft (DOG). In ihr werden Berichte zu Ausgrabungen und deren Auswertung publiziert, die von der Gesellschaft durchgeführt und gefördert werden. Die Beiträge behandeln neben den überwiegenden archäologischen Berichten auch Beiträge zu philologischen, historischen, religiösen und kulturellen Fragen des altorientalischen Raumes.